Louise Richardson, Gareth Day, Kim Filsell and Tom Hill will be among 1200 athletes running the 13.1 miles of the 2018 Retford Half Marathon on Sunday 11 March. 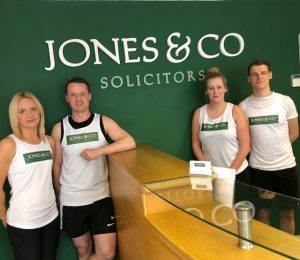 The four colleagues will be tying up their laces and getting ready to run their best times at the event, which is also sponsored by the firm. The hugely popular annual run, which is usually sold out by race day, will start and finish at Retford Oaks Academy on Babworth Road. There will also be an event for young runners and their families with a two-mile Family Fun Run at 10.15am, after the start of the half marathon at 10am.